Farewell to August As summer draws to a close. Weather: Clear and sunny today in the low 80s. It could get a little overcast later this afternoon, but there's no real rain in the forecast until this weekend. We missed yesterday's news roundup--let's just blame the hurricane--but we're back to our regularly scheduled blogging. Here are some Bronx news headlines from yesterday and this morning. Crotona Park resident Jose Sierra, 68, is among the 40 or so victims who died during this weekend's storm. A Puerto Rican native and father of 13, Sierra was an avid fisherman who went out to check on his boat at a City Island marina on Sunday morning. His body was found that afternoon in the waters nearby. Former State Sen. Pedro Espada, Jr., and his son are defending themselves against charges of fraud and money laundering by blaming their accountants. The Espadas' defense lawyer, the Daily News reports, is claiming the men assumed their use of taxpayer funds from the Soundview Health Clinics they controlled--to pay for things like sushi restaurant tabs and birthday party pony rides--were legal because the expenses were approved by an accounting firm. These photographs are of three trees taken down by Irene on Mosholu parkway. The first two photographs are of a tree which provided shade just north of Webster ave. The next two images were made opposite Dewitt Clinton High School, this tree housed a nest of wasps who expressed their need for privacy to me! The last two are of a tree which lived just north of Marion Ave. Weather: Finally, the sun is back. Today should be sunny with a high of 81 degrees with a chillier 61 low in the evening. 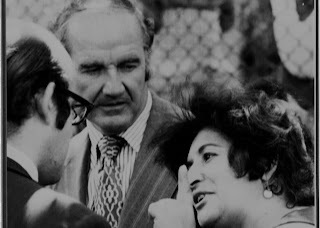 Story of the Day: Irene's first city victim is from the Bronx. Police found the body of Jose Sierra, 68, caught in the water between two boats near a City Island marina. Sources told the Daily News the father of 13 left his home in Crotona 9 a.m. Sunday morning to check up on his boat. Sierra's body was spotted by a marina owner in the afternoon. Quick Hits: City Island got hit particularly hard. Some residents returned to their homes Sunday to find their neighborhood flooded and fallen trees littered about. A homeless man and a Bronx resident rescued two young boys from a burning Baychester building early Thursday morning. The boys were rushed to Jacobi Medical Center where the youngest, just 2, was taken to the hyperbaric center. Borough President Ruben Diaz is gathering experts for a Bronx education summit in October to promote progressive change in the city's education system. Education scholar Diane Ravitch will be the keynote speaker. I hope you all had a safe night. This time lapse move was created from photographs made between 10:00am and 10:45am today. Click here for better quality video. Update: Here is another link with some good advice from someone who has lived through hurricanes, including a suggestion to fill up your bathtub so you can flush the toilet if the water is cut off. This New York Times interactive map is the best I've seen for indicating Bronx evacuation zones which inlcude low-lying and coastal zones of the borough. Check it out here.You can enlarge it and move it around to find your neighborhood. The city's map has a list of borough evacuation centers. Click here for NPR's link to the PDF. (The city's site seems to be overloaded. Be safe everyone. Feel free to share photos and comments and such over the weekend. You can email them to bronxnewsnetwork@gmail.com. Weather: First an earthquake, now Irene. The category 3 hurricane that's currently dumping rain on the Bahamas is headed towards the northeastern U.S., though exactly where and when it will hit is still up in the air (though most are predicting it'll be in New York sometime Sunday). For those interested: WNYC has this city map of flood zones, the New York Times has a live hurricane tracker feature, and the city has released a brochure on storm-preparedness. As for the current weather, expect rain and thunderstorms most of the afternoon. A history professor at Fordham University raps--yes, raps--to get his students' attention on lessons about gentrification and affordable rents. Mark Naison, aka "Notorious PhD" (cute!) says he is worried the Bronx will eventually turn into an expensive hipster-haven like Brooklyn and parts of Harlem. Watch the video below. Naison's rap starts around the 2:20 mark, complete with a beatboxer accompaniment. Awesome. Now that the criminal case against Dominique Strauss-Kahn has been dropped, accuser Nafissatou Diallo's lawyers are focusing their efforts on the case they've filed against the former IMF chief in Bronx Civil Court. The Bronx's Dominican population has jumped 81 percent over the last decade. A judge has given the Soundview Healthcare Network, the clinic owned and run by indicted former Sen. Pedro Espada Jr., an extended deadline--Soundview was ordered banned from the State's Medicaid program starting Sept. 12, but were just granted a stay until at least the next court date on the 19th. Bronx Borough President Ruben Diaz is demanding the DOE release all environmental testing reports and other data related to PS 51, or the Bronx New School in Bedford Park, which was found to be contaminated with high levels of a hazardous chemical. What a great reward for being studious: Bronx Little Leaguers with good attendance records and at least a B school grade average will get to compete in the Borough President's Cup at Yankee Stadium. Bronx cops are still waiting--anxiously--for indictments to drop from the District Attorney's office in the much talked about ticket-fixing probe. Low-income neighborhoods are home to more soda drinkers than affluent ones, a new report finds. In the South Bronx, almost have of residents report drinking at least one soda a day (earlier this year, Bloomberg proposed banning the use of food stamps to buy soda and other sugary beverages, a plan that was met with much debate). Congrats to Riverdale Press reporter and former Norwood News intern Graham Kates, who tied the knot last weekend. Editor's Note: This story first appeared in the latest issue of the Norwood News, out now. will have a new home in a former Catholic school two miles away in Crotona. At a tense public hearing last week, the Department of Education announced it will be moving Bedford Park elementary school PS 51, known as the Bronx New School, to a new building two miles south—the result of a discovery earlier this summer that its current site contains hazardous levels of a chemical toxin linked to cancer. “I apologize to you. It will not happen again,” Schools Chancellor Dennis Walcott told a crowd of seething parents at the Aug. 18 meeting at the Bronx High School of Science. This week we have had some gorgeous weather. This is what you get if you mix blue skies, white puffy clouds and a camera, I shot this time lapse movie earlier in the week. Bronx Borough President Ruben Diaz, Jr.'s office is asking Bronx residents to fill out a "quality of life" survey and share their thoughts on living in the Boogie Down. The 22-question online survey takes about ten minutes or so to complete and asks about things like local schools, food access, safety, where you do most of your shopping, etc. According to Diaz, the answers will be compiled in a report his office will release this fall. “It is important that Bronxites participate in this survey and let my office hear from them on the specific issues that face our neighborhoods," Diaz said in a statement. "The goal of this survey is to build upon newly-released Census data to perform a comprehensive, inclusive, and thorough assessment of where we are as a borough and where we want to go. I hope that as many Bronxites as possible will take a few minutes to fill out this survey and join us in that effort." And, just in case you'd rather complain to the Borough President face-to-face, survey participants will automatically be entered in a raffle, and the prize: brunch with Diaz! Good morning, lovely readers! Your weather forecast for today, luckily, does not include an earthquake (did you feel it?) but does call for sunny skies and temperatures in the high 70s. Enjoy. Something else you can enjoy: the latest issue of the Norwood News , which as we speak is being delivered to its usual spots, and will be up online shortly. It's a special back-to-school edition, chock full of great local school stories (with other news in there too, of course.) Make sure to pick up your copy. Jeffry Ramirez, the 19-year-old whose stray bullet struck and killed 24-year-old Yaritza Pacheco on E. 174th Street early Sunday, told police that he fired his gun during an argument that started when his friend cut another man in line at the bodega. During the semester, students will learn the fundamentals of writing, reporting, and photojournalism through classroom instruction and hands-on reporting in their own neighborhoods. We will take them on field trips - including the newsroom of a daily newspaper. And they will learn about community activism and civic responsibility, how their neighborhoods work (or don't), who has power, who doesn't and why. Student work gets published in a special youth supplement called Bronx Youth Heard, which appears in Bronx News Network publications - the Norwood News, the Mount Hope Monitor, and the Tremont Tribune - giving youth a powerful voice. We are looking for students of all academic abilities, but they should be highly motivated, love to write, be naturally inquisitive, and care about what's going on in their communities. Click here to find out more about the program or to download an application form, or call (718) 324-4998 and ask for Jordan Moss or Jeanmarie Evelly. Campers from St. Brendan's Church Play Camp got an end-of-summer treat last week, with a pizza party at Sal's Pizzeria on E. 204th Street. The group of 20 tykes were treated to pizza and sodas on the house, said counselor Maritza Rivera, who snapped this shot of the group with owner Sal Calce. "They were excited and had a blast," she said. "It was a great experience for the kids." We felt it here on Reservoir Oval East, a very subtle shaking of the building for several seconds. Keep in mind that our headquarters is in a solid stone house, not something prone to high winds (if there were any) or a big truck passing by. We're back, Bronxites--apologies for the silence the last few days, but we had some staffers on vacation and are busy putting together the next issue of the Norwood News, which returns from summer hiatus on Thursday. Now, on to the news (shared credit for this roundup goes to BxNN intern Justin Bodden). Weather: It's starting to feel like fall out there. Sunny and in the low 70s today, and dropping into the 60s later tonight. At an emotional two-hour meeting last Thursday, Schools Chancellor Dennis Walcott announced that P.S. 51, or the Bronx New School, will be moving into the building that housed former catholic school St. Martin of Tours--located over two miles away in Crotona. The failure of the DOE to recognize the high levels of dangerous chemicals that contaminated the Bedford Park school has left parents angry and wanting more than the apology and an information packet given. "I needed some solid answers and I don't think I got that," one parent told NY1. A group of PS 51 parents are holding their own meeting tomorrow night. Soon-to-be college student and Morris Heights resident Raevaughn Gardner-Williams is recovering from injuries to the head, which he suffered 11 days ago in a brutal hit-and-run. A 19-year-old man has been arrested for the shooting of Yaritza Pacheco, 24, who was struck and killed by stray bullet as she walked home along E. 174th Street early Saturday morning. As part of a series on 2010 Census data, NY1 looks at the Bronx's booming population--and poverty--rates. The Hunts Point Express and Mott Haven Herald editorialize against the efforts of a wealthy multinational corporation to gain millions in tax payer subsidies so they can foul the air of poor communities. Weather: Cool and mostly cloudy with on-and-off rainstorms predicted. On to your Bronx news! Schools Chancellor Dennis Walcott and other city officials will be in the Bronx tonight to meet with parents and members of the community to discuss P.S. 51, the Bedford Park elementary school that's being moved because its current building was found to be contaminated with high levels of Trichloroethylene--an industrial solvent that can potentially cause serious health problems that affect the central nervous system, including the liver, kidney, and the immune system, according to the EPA.You can read more coverage on the situation here; details about tonight's meeting are here. The DOE said there are no immediate health risks posed to students at the school, but that doesn't seem to have done much to ease parents' concerns. "All parents in this school should have their children tested because as you can see from this issue the Board of Education can't be trusted to tell the truth," one BxNN reader and PS 51 parent commented. We'll be covering tonight's meeting and will keep you updated. The funeral for Christina Santiago, killed this weekend in Indiana when a concert stage collapsed, takes place today in the Bronx. Great story in the Times this morning about parents who are caught with minor amounts of marijuana--not enough to charge them with a crime--getting subject to extra scrutiny from child welfare on accusations of neglect. In a letter tinged with sadness and bitterness, the embattled principal of Banana Kelly High School has resigned. Joshua Laub, who headed the school for 12 years blamed city policies for the declining fortunes of the school, where graduation rates have been falling while enrollment climbed. Read the full story in The Hunts Point Express. Weather: Enjoy today, Bronxites, because we're in for more rain tomorrow. It'll be in the high 80s this afternoon and mostly sunny. A veteran NYPD detective based out of the 52nd Precinct--which includes Bedford Park, Norwood and University Heights--was arrested Monday on conspiracy and robbery charges, several news outlets are reporting today. Kyron Collins, 39, along with two non-police accomplices, are accused of committing a string of robberies over the last year, in which they allegedly targeted people selling contraband cigarettes. Collins supposedly used his NYPD shield, a firearm and fake search warrants in carrying out the thefts. The NY Post reports that Collins is a second-generation officer; his father is a retired NYPD cop. Bronx mom Nicole Perrino started her own blog, www.BronxMama.com, as resource for parents looking for local, kid-friendly events. Three men beat and robbed a man on Creston Avenue last week, stealing his belongings and a beloved-bible. It's finally not raining out! In honor of that, head over to Bronx River Park tonight (one of the borough's loveliest parks, in my opinion--it has its own waterfall!) and catch an outdoor screening of the movie "How to Train Your Dragon," starting at 8 p.m.
Lots of other cool stuff--health fairs, farmers markets, business information sessions--happening in the borough this week. Check out our community calendar below for more. Police are asking the public's help in locating a missing child, who disappeared from his home on Honeywell Avenue in the West Farms section. Reakwon Marshall, 11, was last seen at his home at 2103 Honeywell Ave., at 7 p.m. on Wednesday, August 10. Marshall is 4' 11'' and weighs 115 pounds, has black hair and brown eyes. He was last seen wearing a blue shirt and black jeans. Anyone with any information on his whereabouts are asked to call CrimeStoppers at 1 (800) 577-TIPS. Weather: Good news! The torrential and record-setting rains from the last two days have finally ceased. Skies will stay overcast today (with some light showers this afternoon) with fall-like temperatures in the high 60s. The sun will return and things will warm up again tomorrow. The corner of Webster Avenue and E. 188th Street has been renamed Donnette and Sean Sanz Place, after a 33-year-old Bronx traffic agent who was struck and killed by a van three years ago while crossing the street on her lunch break. Sanz was seven months pregnant at the time and her unborn son, named Sean, died later. The man driving the car that struck her, Walter Walker, 72, had a history of license suspensions and served six months behind bars for criminally negligent homicide. Speaking of Bronx re-namings, a newly opened South Bronx park, Charlton Thompson Garden, honors two soldiers killed during the Korean War. Everyone should check out this beautiful Time slideshow of photographs by Stephen Shames, who spent decades, from 1977 on, chronicling the lives of young people in the Bronx. His shots, compiled in his recently released "Bronx Boys," captures some quintessential scenes of urban life (kids playing in fire hydrants, a boy sleeping out on the fire escape) as well as some more tumultuous spots in the borough's history (street fights, kids shooting up). Tomorrow is Children’s Health & Safety Day at the Jacobi Farmer’s Market from 10 a.m. to 2 p.m.
Head over to 1400 Pelham Parkway South (between Eastchester Road and Seminole Avenue) for fun educational activities, free giveaways, healthy nutrition and fun fitness demonstrations for kids, FDNY Fire Education Safety Booth, summer reading at the Morris Park Library Booth, Asthma prevention and education at the Asthma Booth, and make (and sample) delicious fruit smoothies at the Nutrition Booth! Check out our calendar for more upcoming events. Editor's note: What did we miss? Send details to bronxnewsnetwork@gmail.com. Weather: Another cloudy day with rain off-and-on throughout the day. Story of the Day: A mistake on this Bronxite's birth certificate is causing him to suffer "a bureaucratic nightmare." The NY Post reports that the man's first name on his birth certificate was mistakenly entered as "Male." Although, his social security card and Medicaid card have his proper name, David Rivera, he has not been able to get a job or apply to college because of the mix up. And to top it off, he is always under the threat of being arrested by the NYPD for not having proper ID. Bronxite Christina Santiago was one of the five people killed in the collapse of a stage at the Indiana State Fair. The police are seeking the public's help in finding two armed robbers who posed as city workers to break into an apartment building on East Mosholu Parkway in May. Police say one of the impostors is about 50 years old and 5-foot 8-inches tall with a slight build. The other is said to be in his 40s, bald and 5-foot 7-inches with tall a stocky build. Anyone with information is asked to call Crime Stoppers at 800-577-TIPS. River Avenue Blues celebrated the one-year anniversary of Yankees center fielder and MVP candidate Curtis Granderson's resurgence yesterday. Granderson hit just .239 with 10 homeruns up until Aug. 11 last year. The slugger asked batting coach Kevin Long to help him with his swing. After sitting out a game against the Texas Rangers to let the changes sink in, Granderson has hit .271 with 45 home runs in 161 calendar games. He hit his 32nd home-run of the season in the 6-5 win over the Los Angeles Angels of Anaheim yesterday, tying teammate Mark Texeira for the second most homers in the league. The boys of the Next Millenium youth baseball team from Norwood are headed to the Cal Ripken Baseball League world series, but not without some controversy. Eight of nine teams in the region have complained about the age of kids on the Next Millenium roster, with one team filing a protest with the league. One player on the team lists the year he was born at 1995 on his Facebook page, making him at least 15. The league only allows 12-year-old players. St. Barnabas Hospital and the Committee of Interns and Residents/SEIU Healthcare union have ratified a three-year contract set to increase salaries and benefits for the 291 resident physicians at the hospital. The contract also sets up a labor management committee to hold regular meetings where residents and administrators can bring concerns, according to SEIU spokesperson Heather Appel. Union, hospital and elected officials lauded the deal. "We believe the agreement works for all parties concerned," said St. Barnabas President and CEO Scott Cooper, MD. "We look forward to enjoying a positive and fruitful relationship with the CIR for years to come." Congressman Jose E. Serrano said the agreement was "gratifying." He added, "It goes to show that when management and labor sit down and collaboratively negotiate, good things happen. The contract will run through June 2014. This weekend is the 6th Annual Gardiner Memorial Basketball Classic Tournament in St. James Park (West 192nd Street and Jerome Avenue). The tournament will take place from noon to 8 p.m. on Saturday, Aug. 13, and Sunday, Aug. 14. The two-day tournament, run by The Gardiner Foundation, offers local Bronx residents the chance to watch some of the best street ballers from across the country compete for the title while enjoying free food, entertainment and giveaways. Also during the tournament, five lucky college-bound high school seniors will be awarded scholarships. The Gardiner Foundation was established in 2006 by Dexter Gardiner, in memory of the loss of six of his family members in a horrific car accident on the Bronx River Parkway. His foundation has started a community outreach initiative that offers educational scholarships, financial support, emotional and spiritual guidance and burial assistance to other families in the community who have suffered a sudden and tragic loss. The rain location for tournament is Gaucho’s Gym, 478 Gerard Ave. For more info go to www.LawyerTime.com. Happy Friday folks. Let's get down to Bronx business. To the news! Weather: Not a cloud in the sky today and tomorrow, with temperatures staying relatively mild in the mid-80s. Look for Sunday showers to break the loveliness. This Saturday, August 13, the youth group at the Mary Mitchell Family and Youth Center and members of Community Board 6 are hosting a neighborhood cleanup event from 12 to 2 p.m., along Mapes Avenue outside the community center between 178th and 179th Streets. The group will be picking up trash, and staff from the city's Department of Sanitation are installing a new wastebasket on the street. If you're interested in joining the effort, call CB6 at (718) 579-6990. Weather: Another beautiful one in the Bronx today, with temperatures a bit cooler than yesterday (think high 70s/low 80s), blue skies and lots of sun. Take your lunch break outside! On to the news. Lots of headlines this morning about the Soundview Healthcare Network run by former Bronx Sen. Pedro Espada Jr., which just got kicked out of the state's Medicaid program and is likely facing closure. You can read more on this in our previous post, here. According to the A.P., Espada says he'll fight the state's decision with a court order. Bronx schools scored the worst of the five boroughs on the state's English exams last year, with only 31 percent of students passing (that's compared to 44 percent citywide). Hansel Aguero, 17, of Soundview, is off to Amsterdam this week to compete in a Yu-Gi-Oh! world championship tournament (Yu-Gi-Oh!, in case you didn't know, is a Japanese trading card game the kids are apparently into these days. I think the equivalent of my generation's Pogs). We liked Hansel's oh-so-confident, hometown-pride attitude: "I feel pretty confident," he told the Daily News. "I'm from the Bronx. I'm not scared of nothing." In a decision announced yesterday afternoon, the State Department of Health terminated the network of health care clinics run by former Bronx Sen. Pedro Espada, Jr. and his son from the state's Medicaid program--a move that will essentially mean closure for the five medical centers of the Soundview Network, which operate almost entirely on reimbursement funds from Medicaid patients. The reason for the exclusion, the Health Department said, is Soundview's failure to comply with state laws that "are designed to ensure that Medicaid dollars are properly accounted for and that systems are in place to ensure that all claims for funding are valid." Just hours before the announcement, the State's Office of the Medicaid Inspector General released a letter recommending Soundview be cut, also citing the organization's failure to comply as well as a "lack of oversight" of the business operations there, and the fact that both Espada and his son, Pedro Gautier Espada, are still leading the company, despite being barred from participating in the Medicaid program themselves back in January. Television giant Cablevision and local public access network BronxNet finally came to a contract agreement this week after months of negotiations, two years after a previous deal expired. Bronx Borough President Ruben Diaz, Jr.'s office sent out a press release on Monday announcing the agreement, which he helped broker and which will result in extra funding for BronxNet to update it's technology (federal law require that cable companies provide support for local public channels). "This agreement gives BronxNet the tools to greatly expand their ability to serve our borough while also showcasing Cablevision's commitment to serving the people of the Bronx as a good corporate citizen," Diaz said in a statement "This new agreement is a victory for all involved." There will be a community meeting to discuss the closing of the Bronx New School building and the school's relocation on Thursday, Aug. 18 at 6 p.m. at the Bronx High School of Science auditorium, 75 W. 205th St., between Paul and Goulden avenues. High levels of trichloroethylene contamination was found in the Bedford Park elementary school earlier this year. The DOE only recently told parents about the contamination and relocation to an unknown destination in a letter last week. For more background, click here and here. Tomorrow's performance will feature a Flamenco Ensemble and the music will range from traditional flamenco to more contemporary jazz-infused compositions, combining old and new. Also be sure to check out NYBG's "Pickle Me!" Event going on now until Aug. 26. Take a walk through the Ruth Rea Howell Family Garden to learn about different plants that are pickled. Harvest fresh cucumbers and make your own fresh pickles to take home! Weather: A lovely one in the Bronx today, filled with sunshine and warm-but-not-stifling temperatures (low 80s). Enjoy. A dramatic scene from Parkchester yesterday, as an irate man held a knife to his crying baby boy during a brief standoff with police in the pouring rain. Russel Rivera Jr., 30, was arrested and the boy was later returned, unharmed, to his mother. According to City Hall News, Bronx Sen. Gustavo Rivera is the first State legislator to join the social media site Foursquare--where users "check in" to locations to let followers know where they are and what they're doing in real life. Rivera is using the site to promote community events, his spokeswoman said. Former State Senator Pedro Espada came out swinging yesterday against reports that the state could soon close his Soundview Healthcare Network. Joined by Sen. Ruben Diaz, Sr., Espada held a press conference Tuesday afternoon outside the main Soundview clinic on White Plains Road, where he singled out Governor Andrew Cuomo, charging that the Governor "is picking the target and firing these missiles." Espada said he is fighting for the 200 workers currently employed by the Soundview its thousands of patients. "This clinic will not close," he said. "The body is alive, the mind is well, we're not planning any burials." Diaz, Sr., came to the defense of his "amigo" in a letter to Gov. Cuomo yesterday saying that closing the clinic would "do irreparable harm may come to the elderly and the poor," of the Bronx community. According to WNYC, the state will make a decision in the next few days on whether or not to evoke the clinic's Medicaid license. Espada and his son, both facing trial for misusing the health center's funds, were barred from receiving Medicaid money earlier this year. Weather: Sunny, with a high in the mid-80s until later this afternoon, when rain and thunderstorms became increasingly likely. There's an even higher chance for rain tonight. Should be hotter, less chance of rain, tomorrow. According to a Daily News story out today, a contractor performing tests at the Bronx New School's cafeteria found high levels of trichlorethylene (otherwise known as TCE) contamination as early as January. In March, underneath the school's basement floorboard, the contractor discovered TCE contamination levels that were 10,000 times higher than what the state deems safe. Exposure to TCE has been linked to cancer and it can cause severed kidney and liver problems. The Department of Education says they didn't have the contractor's full report until the end of June. But even Schools Chancellor Dennis Walcott acknowledged that the city should have informed parents sooner. "I'm totally shocked by the whole thing," one parent told the Daily News. Also, it's still unclear where the school will move now with just a month left before school starts. It's National Health Center Week, and Bronx Community Health Network (BCHN) will be hosting a number of events at 10 Bronx locations to commemorate the occasion and raise public awareness about the health services they offer. There will be a health fair tomorrow at Poe Park (Grand Concourse and East 192nd Street) from 11 a.m. to 3 p.m. featuring free health screenings and health information, interactive physical activity, nutrition demonstrations, and gifts. On Wednesday, BCHN will offer free breast cancer screenings for women over 40 who have not had a mammogram in the last year. This will take place at the Comprehensive Health Care Center, 305 East 161st St., from 8:30 a.m. to 6 p.m. The group will also be hosting a number of informational sessions throughout the week at varying locations, on issues like childhood asthma and smoking cessation; a full list of events and topics can be found here. To find out more about BCHN and its events for the National Health Center Week, contact Renee Whiskey at 718-405-4993, rwhiskey@bchnhealth.org or go to www.bchnhealth.org. Teen Center & Tween Program -- offers 6th to 8th graders activities tailored to their age group. Some of these activities include athletics, arts, peer mediation, counseling, and leadership training. Contact: Jessica Cuevas, at jcuevas@khcc-nyc.org or call (718) 884.0700 ext. 149. High school students are welcome to participate and earn community service credit hours. Contact: Sadie Mahoney at smahoney@khcc-nyc.org or call (718) 884.0700 ext. 186. College Directions -- This program assists college applicants every step of the way, from searching to scholarships to writing the application essay. Our program helps students explore career options, prepare for the SAT, and offers one-on-one guidance. Contact: Allison Torres at atorres@khcc-nyc.org or call (718) 884-0700 ext. 169. Happy Monday, Bronxites! Your weather forecast for today calls for sunshine and temps in the high 80s. Pedro Espada's lavish spending habits have him back in the headlines again (just in case you've forgotten, see here.) State Senate documents released this week show that the infamously indicted former Bronx rep. spent more taxpayer money in his last three months in office than any other Senator did in double that time, doling out $750,000 in expenses and to pay staffers. Espada managed to rack up the high tab despite the fact that he and his office were conspicuously quiet during the months in question, October to December, which was after he lost the primary to now-Senator Gustavo Rivera. During these final months in office, Espada was criticized for missing several important sessions in Albany, including a vote on housing legislation that he was the main sponsor for. We wrote about Espada's bloated office staff roster last fall, after we noticed the number of employees on his payroll had practically doubled in the months leading up to the primary. His staff at the time insisted, however, that any campaign work they did for Espada was off the Senate clock. In other Espada news: the Soundview Healthcare Network which he founded (and was indicted for looting) will lose $10 million in Medicaid funding because of repeated violations of state law, according to the NY Post. A New Jersey-based advocacy group set up shop outside Nativity of Our Blessed Lady parish in Eastchester, where they say they are urging sexual assault victims to come forward and share their stories. The church's priest, Father James Duenas, was arrested last week on molestation charges. Editor's Note: In lieu of a news roundup today, which we couldn't get to because of a fire and school building contamination, we offer you this Bronx sports roundup, courtesy of BxNN intern and Yankee fan Justin Bodden. The most famous rivalry in all of sports resumes tonight as the Yankees face the Red Sox at Fenway for the lead in the AL East. The Bombers come into the series sizzling: winners of their last 7 games and coming off a sweep of the White Sox in which they didn’t walk a single batter. The Red Sox and their line-up full of MVP candidates are coming off a split with the Cleveland Indians. Both teams are tied for the second best record in the majors at 68-42. This season, the Yankees have struggled against the Sox, losing 8 out of 9. The Bombers hope for a replay of the 2009 season when they also struggled early against the Sox, losing their first eight games to their AL East rivals, but then finished the season winning 9 of the last 10 against them. That, the Yanks went on to defeat the Philadelphia Phillies for their 27th championship. At about 9:45 a.m. this morning, Ashley Santiago looked out the window of her apartment on the corner of Gun Hill Road and Rochambeau Avenue and saw fire raining down from the sky. "My mom told me, 'Look, there's fire coming down from the sky,'" she said, two hours later. Dressed in shorts and a tank top, the 18-year-old grabbed her wallet, cell phone and keys and ran out of the building, 3504 Rochambeau Ave., along with the her mother, aunt and two dogs. On the way out, one of the dogs, Nena, a Rottweiler-Pit Bull mix, ran back up the stairs, forcing Santiago to run after her and corral her before she made it up to the fifth floor where a fire had engulfed a corner apartment. Santiago's family and every other resident, including two teenagers who were in the apartment where the fire erupted, made it out of the building in plenty of time, but damage from the fire may leave several families homeless, at least temporarily. National Night Out in the Bronx Features Legendary Latin Jazz Pianist Gilberto Colon, Jr.
National Night Out Oval Park from Alex Kratz on Vimeo. I picked up the Village Voice near the Kingsbridge Road 4 train stop yesterday and, because I'm a movie junkie, immediately turned to the film reviews. It included a short and positive portrait of "Gun Hill Road," an independent movie written and directed by Bronx-born filmmaker Rashaad Ernesto Green, starring two well-known Bronx actors, Judy Reyes and Esai Morales. That's good news for Green's film, which made it's New York debut at the first-ever Bronx Film Festival in May. Only one problem: the reviewer said the movie is set in Brooklyn! Doh! Finally, an independent Bronx film starts building buzz (apologies to "City Island" fans) and the Boogie Down gets mistaken for trendy Brooklyn. Sigh. 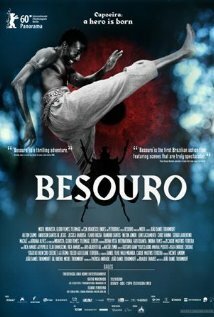 In collaboration with the African Film Festival, The Bronx Museum of the Arts will present BESOURO (95 min), the emotional true story of the legendary capoeira fighter from Bahia, who was rumored to fly and leads an uprising of agricultural workers against an exploitative landowner. The Riverdale Press describes a gruesome scene that played out this morning on the elevated 1 train at 231st Street when, police and witnesses say, a "middle-aged woman" intentionally jumped onto the tracks and waited for an oncoming train to strike her. She died with her unnaturally contorted body in view of many onlookers. "The foot was above the torso," one witness told the Press. Weather: Not too hot today: sunny with some clouds. Unlike last night, it should stay pretty clear through the evening. A second water main break this morning on Jerome Avenue less than a mile away from where last week's was. The Daily News reports that the break occurred around 6 a.m. and was shut off by 7:45 a.m. This break caused far less damage than last week's, but still left two inches of water in the street. According to the Department of Environmental Protection, the two breaks are not related or an indictment of a failing water main system. Nope, simply just a freak coincidence. An elderly priest from Eastchester has been accused of molesting a 16-year-old girl. Former State Senator Pedro Espada's Bedford Park co-op is still up for sale. The Daily News' Bob Kappstatter reports that Espada may be getting desperate to sell his former home with the beginning of his federal trial for embezzlement charges looming on Sept. 12 and that the property could be a bargain. Plus, other political tidbits. Tonight the Bronx Culture Trolley Returns! Hop on the trolley and enjoy attractions at some of the hottest cultural spots along the lower Grand Concourse. The tour begins at Longwood Art Gallery at Hostos, on the campus of Hostos Community College at 450 Grand Concourse. The trolley departs at 5:30, 6:30, and 7:30pm for other venues in the South Bronx Cultural Corridor. The trolley ride and admission to participating venues along its route are free. The Bronx Culture Trolley vehicle is wheelchair accessible. Longwood Art Gallery Exhibitions: Born Again: A Lebanese-Dominican Dominican York is born again as a Bronxite and En Castellano and in other Languages: Video Artists from Andalucía and the Bronx. Sweetwater's Bar &Grill: Karaoke and Fine Food. Wind down your trolley night with some fine food and drink and some “singing” fun in Sweetwater’s karaoke lounge. For more information call 718 931 9500 x33 or email trolley@bronxarts.org. Weather: Not too hot today, sunny with a high of 81. Tonight, thunderstorms in the forecast with temperatures in the high 60s. 15 people were injured yesterday afternoon when an MTA bus collided with a livery cab and a sports car. The accident occurred around 2:30 p.m. when a Bx55 bus, moving southbound on Third Avenue, made an unscheduled stop. The bus hit both the cab and sports car at the intersection at East 170th Street. EMS Deputy Chief Howard Sickles said that none of the injuries are life threatening. The principal of Our Lady of Mount Carmel elementary school has been fired for his writings on white supremacy. Frank Borzellieri, who has ties to a group called American Renaissance, wrote a book titled "The Unspoken Truth: Race, Culture and Other Taboos," which talks about the "the myth of integration" and "multicultural madness." Next Monday night BronxTalk will focus on a new development initiative on Southern Blvd. The new issue of the Mott Haven Herald is out, with stories that remember the contributions of Evelina Antonetty, surveys an exhibit that enshrines South Bronx buildings, looks at the latest safety efforts in public housing and tells the story of women who've gotten their GEDs through a local program, and more. 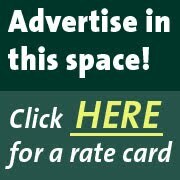 Check it out at www.motthavenherald.com. Editor's Note: A spokesman for Small Business Services, which is aiding merchants in the recovery effort, said there will be a recovery meeting for business owners and other concerned parties tomorrow, Aug. 3, at 11 a.m., at Davidson Community Center, 2038 Davidson Avenue. A little more than twenty-four hours after a water main break left Jerome Avenue in Mt. Hope submerged under tens of thousands of gallons of water, some businesses were still cleaning up, working diligently to get every last drop of water out. Others were busy on the phones talking to their insurance companies, looking to receive compensation for damages. Today, almost a week later, local businesses in the Mt. Hope are still struggling to clean-up and survive after a 108-year-old water main burst early last Wednesday morning near the corner of East 177th Street. The cause of the main rupture is still under investigation, but Department of Environmental Protection spokesman Michael Saucier said in an e-mail that age alone did not cause the pipe to burst. Local merchants who lived through it said the flooding created total chaos. Earlier today, the U.S. Senate voted in favor of a budget agreement that would allow the nation to raise its debt ceiling while making trillions of dollars in cuts to government spending programs. Last night, the Republican-controlled House approved the same plan and President Obama is expected to sign it immediately before the country starts defaulting on its debt obligations. While Democrats were split evenly between yays and nays, the three Bronx representatives, all Democrats, in the House -- Jose Serrano, Eliot Engel and Joe Crowley (who's more of a Queens guy than a Bronx guy, but he still counts) -- all voted against the deal. Weather: After today's sizzler -- high of 92 expected -- Bronx air will cool back down into the low 80s tomorrow and should stay comfortably below 90 for the rest of the week. This summer, the Bronx Council on the Arts is transporting Bronx youngsters to destinations outside of the Northern Borough for rich cultural experiences they otherwise wouldn't have the opportunity to enjoy. Before, during and after they go to galleries, museums or places like the Anne Frank Center in SoHo, the kids write about what they've seen and experienced. The goal of the Bronx Write Bus, says program director Maria Romano, is two fold: keeping kids stimulated and off the street and, at the same time, exposing them to cool cultural places and ideas. Good story from former BxNN intern turned Times scribe Andrew Boryga. The program ends next week. Sad, bizarre crime story in the NY Post today about two clerks at the AutoZone on East 149th Street who chased after and caught a shoplifter yesterday. One of the AutoZone employees managed to wrestle the thief down and call police before the perpetrator turned the tables, for a minute anyway. Eventually, as onlookers told the employees to just let the guy go (why, they wondered, would they risk injury for a business they didn't even own? ), the thief gave up the goods and departed before the cops arrived. Later, the Post found the alleged thief, who was sporting a shiner and other injuries. He said he was homeless and that "they didn't have to do that to me." Welcome to August, Bronx people. Let's get to all the non-debt-ceiling-related Bronx news now. We'll start with sweat. Weather: Hot today in the Boogie Down. High of 92 predicted, with severe thunderstorms possible from 4 p.m. on. Two years after Frank Borzellieri became principal at Our Lady of Mount Carmel elementary school in Fordham, school officials and the Archdiocese are being criticized for hiring the controversial former school board member. Borzellieri served on the city's school board from 1993 to 2002 and distinguished himself with a series of racially divisive actions and stances, including an attempt to ban a biography of Martin Luther King, Jr. In 2004, the Queens resident who contributes to a white supremacist publication, wrote a book, "Don't Take it Personally: Race, Immigration, Crime and Other Heresies," that claimed "diversity is a weakness." Former colleagues question the content of his teachings. And now parents are coming forward at the 200-student school (made up of mostly black and Latino faces), saying that now that they know who he is and his views, they're not comfortable having him as principal of their kids. The body of a partially-clothed dead Bronx woman was found floating face down in the Bronx River early Saturday morning. Later, city medical examiners deemed her death a murder, saying the unidentified woman was beaten to death. 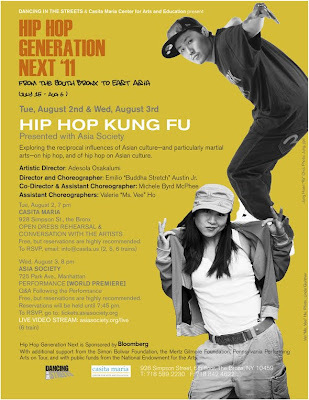 Bronx Events: From the South Bronx to East Asia "Hip Hop Kung Fu"
Come to a Hip Hop/Kung open dress rehearsal tomorrow at 7pm at 928 Simpson Street. See the work of Emilio "Buddha Stretch" Austin Jr. that juxtaposes the formality, structure, and strict discipline of Asian martial arts with the looseness and spontaneity of hip hop. Stick around for a Q&A session after. The piece will premiere August 3rd in Manhattan. On August 6th head back to Simpson Street (between 163rd St. & Barretto St.) for a block party hosted by Popmaster Fabel and Brandon Albright. Performances by GrandWizzard Theodore, Fred the Godson, and members of the Hip Hop/Kung Fu ensemble of Asian and American dancers, musicians, DJs, and martial artists. For more info: 718.589.2230 x.6055 or log on www.casitamaria.org.